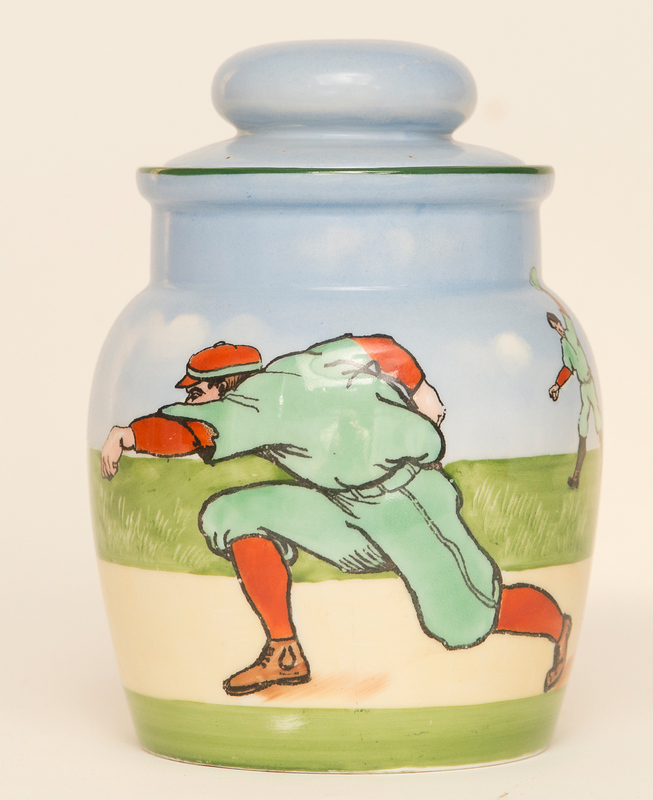 Ceramic Humidor with scene of early baseball players throwing the ball in bright and attractive colors. No visible cracks or chips. Marked M&Z Austria.